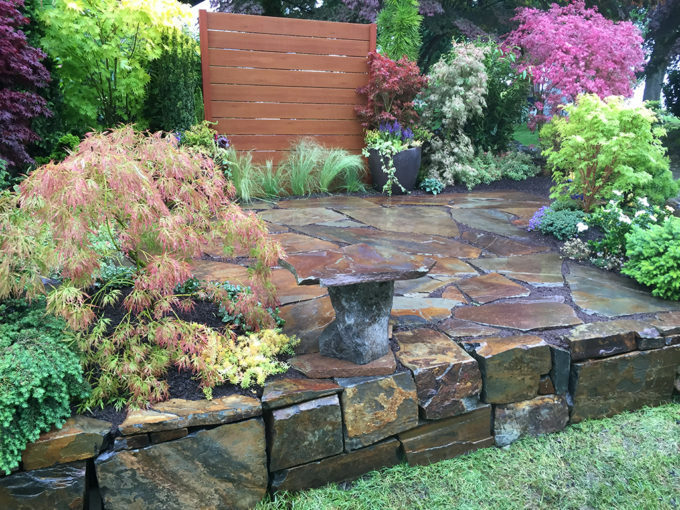 See our Planscapes display garden at Sorticulture Garden Arts Festival at Legion Park in Everett, WA, June 9-11 2017. Flagstone and cedar create a garden patio outdoor retreat framed by plantings with year round texture, color and interest. The soothing sounds of water, colorful foliage and inviting patio offer a peaceful retreat. Containers add seasonal color.